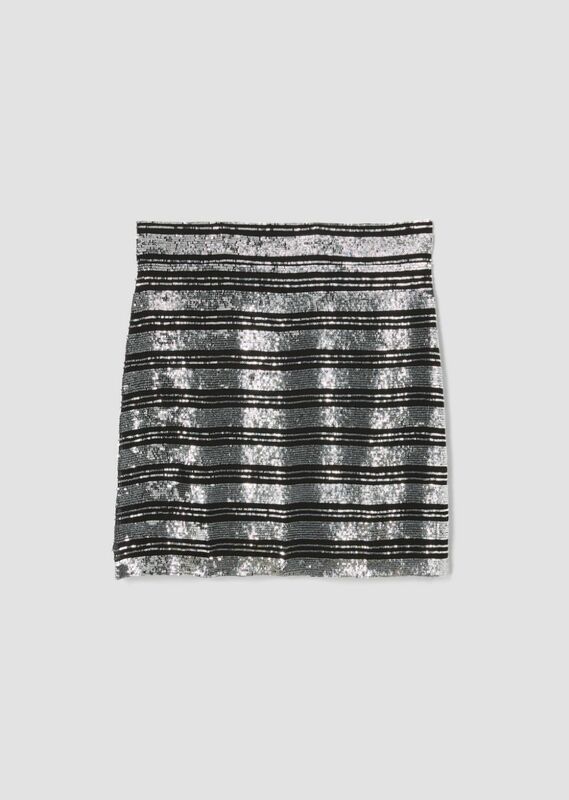 Slim miniskirt in fully sequin-embroidered horizontal stripes. Concealed zip closure. Imported.